Social media, like any other marketing channel, has to prove itself as a customer acquisition, retention, and sales tool. Analytics is one way to make the case for whether it accomplishes that goal or not. Facebook, LinkedIn, and Pinterest all provide analytics for page owners and advertisers; all track activity for both organic and sponsored posts. Earlier this month, Twitter announced that it had joined the ranks of these other networks and now includes analytics data for organic posts in its dashboard. Previously, such metrics were available only for Promoted Tweets, Promoted Accounts, and Twitter Cards. “Starting today, you’ll have a new tool in your arsenal: we’re rolling out an enhanced Tweet activity dashboard to provide measurable insights into how your organic Tweets perform,” said the Twitter announcement. To gain access to the new Twitter dashboard, business owners must use Twitter Cards or begin advertising. Measure tweet activity. See how well tweets perform in real time, to determine their effectiveness and make posting efforts more successful. Track the activity of organic tweets using the new dashboard. Business users can compare how many times a tweet gets viewed by others on Twitter, and see how many retweets, replies, favorites, follows, link clicks, and embedded media clicks each Tweet received. Twitter presumably hopes that having a better understanding of how posts perform will lead users to promote some of them as ads. Track Followers. 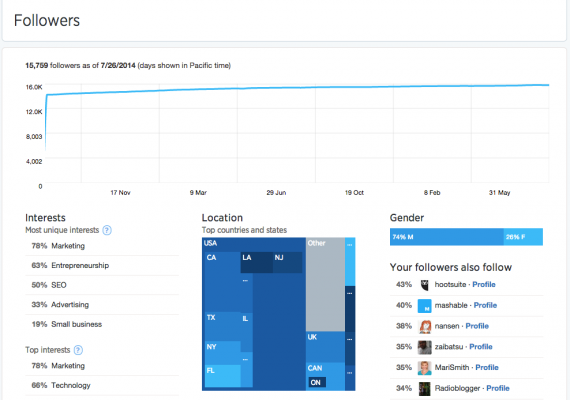 Explore the interests, locations, and demographics of followers. The new Twitter dashboard shows follower activity. See Twitter Card Activity. Twitter Card users can see how well content performs in real time and track Card activity trends over time including such metrics as retweets, clicks, card types, sources, and other information. See activity taking place around Twitter Cards. Users can export Tweet performance metrics into a CSV file, which now includes both organic and promoted data. 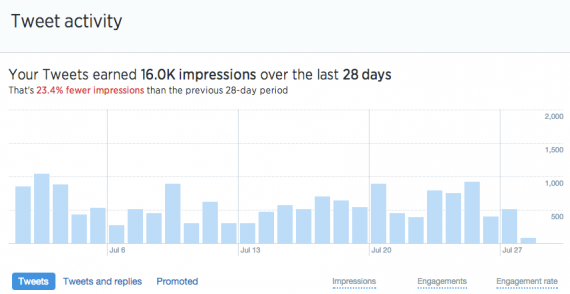 Once you gain access to the new Twitter analytics, try these posting best practices to see how they affect growth. Create content that resonates with your audience. The more relevant your posts, the better your chances of getting retweets and @mentions. The new analytics dashboard should help in that respect, and be a boon to improve post performance. Post two to three times per day. Twitter conducted research on 200 advertisers that included both Fortune 500 companies and small businesses and found that those who tweet two to three times per day reach an audience size equal to 30 percent of their follower base during a given week. For example, Wheat Thins (@WheatThins) achieved organic reach equal to 95 percent of its follower base by tweeting two times per day per week. Trident Gum (@TridentGum) saw an organic reach that was five times greater than its follower base by tweeting three times per day, reported the research. Due to tweets’ short-lived nature — a tweet posted this morning will be long forgotten only a few hours later — consistent posting multiple times per day is necessary to stay top of mind with users. Leverage real-time events when possible. The real-time, extemporaneous nature of Twitter makes it an ideal outlet for in-the-moment posts; so insert real-time posts into the mix whenever possible. Mention influencer usernames in Tweets. One of the best ways to get attention and build brand awareness is to @mention influencers including those with large followings. That does not mean adding Justin Bieber’s username to every post, just those who are influential in your industry. Only include them only when it makes sense to do so such as in a retweets of their content or in response to something they have posted, which you amplify with comments of your own. Pay attention to when you tweet. The new analytics dashboard will help you determine the best time of day and day of the week to get the highest return on your posting efforts in terms of engagement and impressions. Experiment with different types of posts and media. Try different approaches when you tweet and analyze the effect. Vary types of content, copy length, calls to action, and use of rich media such as photos and video. Does a tweet containing a quote work better than a product-related post? 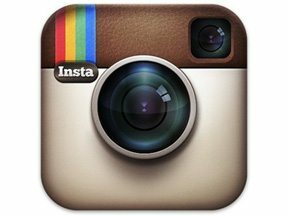 Does the inclusion of a photo or video result in higher levels of engagement than posts that do not include them? These and other questions are what the new analytics dashboard will help answer. It may help make Twitter a useful weapon in your social media marketing arsenal once and for all.